Collegiate Teaching – Collegiate Teaching in Art and Design is a confluence of information intended to support the professional development and research of faculty and graduate students toward excellence in teaching. This website has been arranged with different tabbed content areas as well as threaded subdivisions appearing throughout the site. The first subdivision is Thoughts To Act On: which includes quotes from faculty, graduate instructors and teaching curators on reflective teaching practices. The second subdivision is Gallery and it presents images of graduate or faculty studio work along with information about the artist, designer or educator. “Whenever possible I connect what is happening in class to the larger art world. It’s an effective way to show that what students are doing is relevant and accessible in the world around them. I take classes on trips to local galleries and museums, to visit artist studios, on studio visits with art classes at other local colleges, and I invite visiting artists to the class to give critiques, demos, and talks on their work. I work with students individually and design assignments open enough to suit a range of experience levels. I listen carefully and make time to talk with each student about his or her work in some depth. I respond intuitively, aiming to understand when to push someone, challenge them, or offer encouragement. “I believe drawing is a highly “specialized form of artistic activity. When practiced fully as an art, drawing akin to other poetic forms, is an agency of knowledge creation and not merely an aesthetic means of conveying knowledge formulated in other discourses, or of directing perceptual attention to such knowledge. Accordingly, education in drawing should afford the artist a critical appreciation of drawings as disntinctly artistic things–that is, as architectures of specialized decision-making. The artists’s primary drawing resource–the cognitive technology of line–reflects its own history of practice while also responding, in her wielding of it, to her intended public’s visual classifications and capacities, which can be goaded into new domains when such wielding in craft of assembly is non-conventual or divergent. Collegiate Teaching in Art and Design is a confluence of information intended to support the professional development and research of faculty and graduate students toward excellence in teaching. It began within the Department of Teaching + Learning in Art + Design in the Graduate Studies Division at Rhode Island School of Design. Fostering and providing formalized individual consultations with graduate students and fellow faculty members. Offering roundtables and discussion series on teaching practices for the academic community. Hosting a generative blog for current and comprehensive content in the field, including articles and papers describing best practices, case studies and new approaches to pedagogy and research. The Forum in Collegiate Teaching in Art + Design represented the first attempt in the nation to synthesize current efforts in the field, highlight models and trends, foster scholarship, and to build upon work that has been done in other fields in order to document and extend the discrete dialogue in art and design teaching. Nationally, there had been considerable scholarship devoted to understanding how art and design are taught and learned at the elementary and secondary levels, but issues of teaching at the post-secondary level were only recently being examined. Similarly, while there was an extensive body of research related to teaching other subjects at the collegiate level, systematic and in-depth literature on teaching art and design at this level was sparse and lacked coordination and cohesion. While a great deal can be learned from the work of colleagues in other fields, art and design teaching is distinctive in that it takes place in the studio environment and operates within the historical context and traditions of that environment. Teaching in the studio differs from teaching in lecture halls, symposia, and tutorials. There has been a healthy sense of agitation about what it means to teach art and design today. Founded in 1877, Rhode Island School of Design (RISD) is considered by many to be this nation’s preeminent art and design school. RISD’s mission is to educate its students and the public in the creation and appreciation of works of art and design, to discover and transmit knowledge, and to make lasting contributions through critical thinking, scholarship, and innovation. 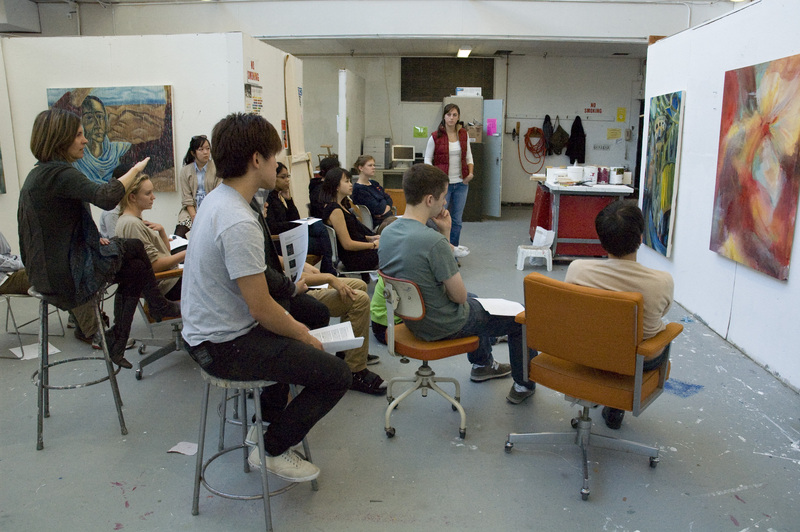 RISD fulfills this mission by providing the highest quality instruction in the visual arts, design, architecture, and art education to prepare its students and the broader community to be creative and responsive to the needs of a global society. 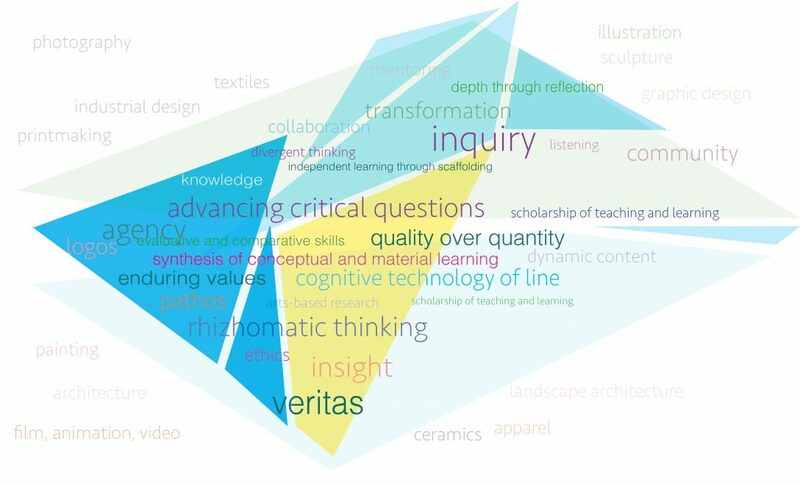 Since 1999 the RISD Department of Teaching + Learning in Art + Design responded to the growing demand for opportunities to engage in curriculum design, hone teaching skills, and develop reflective teaching practice. Initially, ad hoc independent studies were arranged. 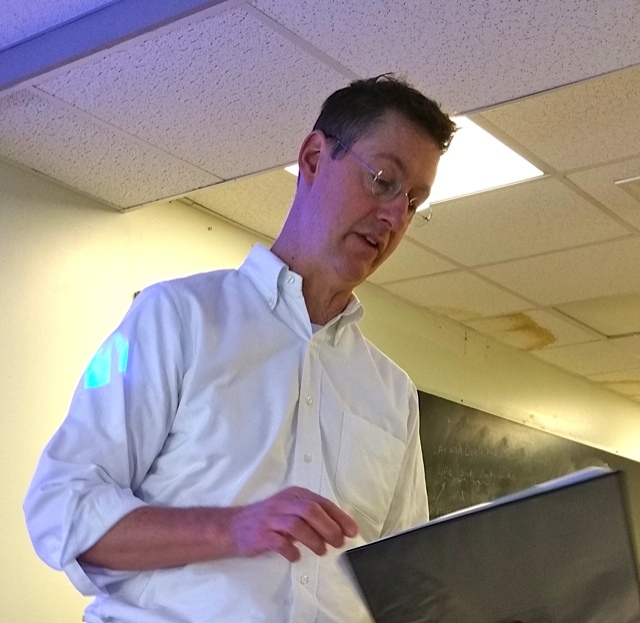 Later, a collegiate teaching seminar was established as a result of a partnership with Brown University’s Sheridan Center for Teaching and Learning. Throughout the field, one saw a proliferation of conference presentations such as: “More Meaningful Learning,” a panel discussion presented at a conference of the College Art Association, “HearSay: Ten Conversations on Design” at an AICAD conference, which focused on key issues in design education, and “Transformations: Building the Future of Art and Design Education”, a conference of the National Council of Art Administrators, held at RISD. This extraordinary level of interest demonstrated the need for a significant commitment to the in-depth study of teaching and learning as it pertains to art and design at the collegiate level. RISD was ideally positioned to respond to this need. Among its assets are its prominence in the field; its well-established Department of Teaching + Learning in Art + Design; and its superb roster of accomplished studio faculty. The Forum represented the first attempt in the nation to synthesize current efforts, highlight models and trends, foster scholarship, and to build upon work that was being done in other fields in order to document and extend the discrete dialogue in art and design teaching.